For sale is this Lemania W.W.W. 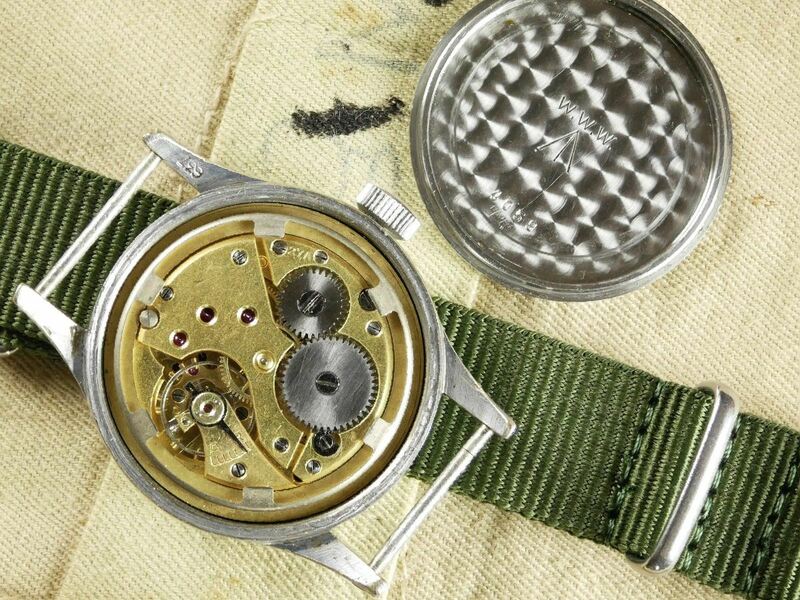 Dirty Dozen British Army Wristwatch c.1945. 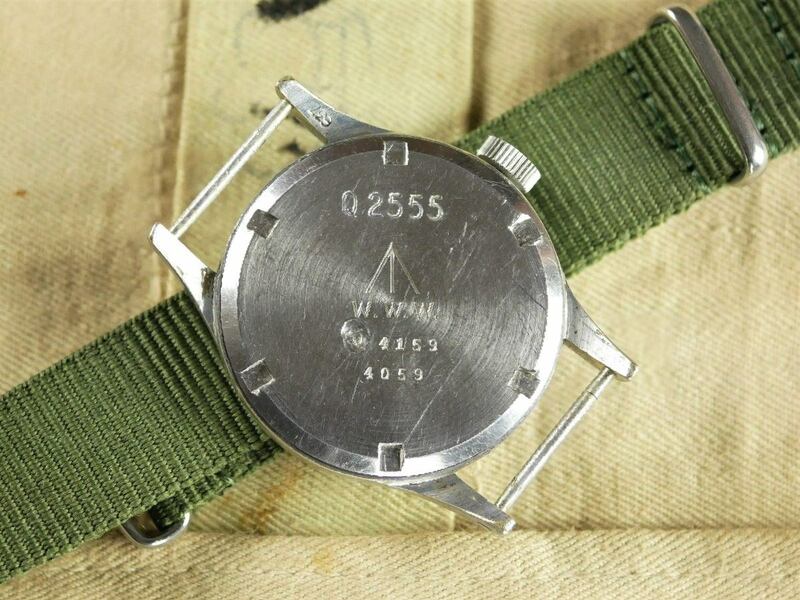 As many of you may know these watches began being manufactured and issued to the British Army in early 1945. 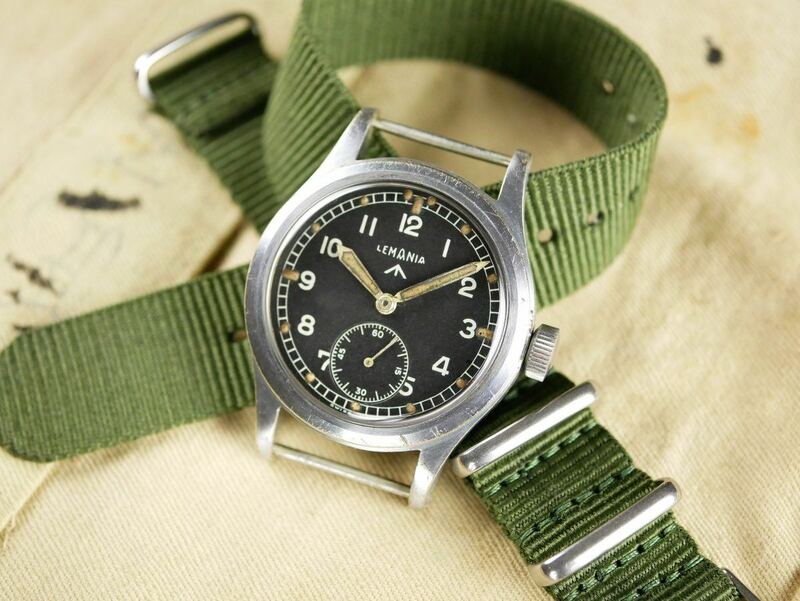 There were 12 Swiss manufacturers of the WWW watches and as such, the collection is commonly referred to by collectors and dealers alike as “The Dirty Dozen”. 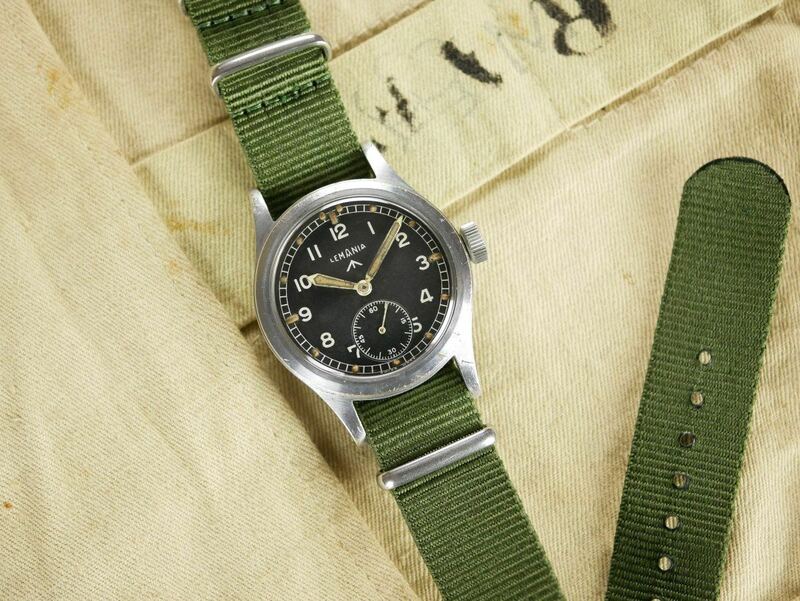 Only around 8,000 Lemania WWW watches were made for the British Army during WW2. The watch for sale is a beautiful example of its kind and is in excellent overall condition having been recently serviced by our highly skilled and experienced horologist. The hands and crown are all correct to the original specification of the watch. The original factory dial is in lovely overall condition without any obvious flaws or blemishes. The casing is in very good condition. As expected, there is some wear and tarnishing to the outer chrome plating in places. The 27A calibre movement is currently running extremely well and keeping excellent time. The watch is listed for sale on our website at a reduced price of £2,495 which includes a newly fitted NATO strap and quality hand-made leather watch pouch. This price includes free shipping for members of Chronotrader!